At what point does it make more sense to own a home rather than rent? It’s a question that of course crosses the minds of those who feel that they’re simply throwing their hard-earned money away each month on rent, with nothing more to show for it other than a place to put their stuff and a temporary roof over their head. Feeling like they have no other option, the one thing they lack, and that you and I probably take for granted, is market knowledge. It is our hope that you may be able to take this information, originally published in the OCR, and incorporate it into your marketing efforts. So… here we go. The Orange County/Los Angeles region has the longest break-even horizon in the U.S., according to an analysis by online hometracker Zillow. But if you’re planning to stick around for four years or more, consider this: Typically, it takes three years and eight months to reach the break-even point in the L.A./O.C. area, Zillow researchers say. The timeline varies around the country, and tends to be longer in pricey spots along the West Coast, including Portland (three years and one month), San Francisco (three years), and San Diego (two years and 11 months), by Zillow’s math. In Riverside and San Bernardino counties, however, the break-even point is reached at one year and 10 months, pretty close to the overall U.S. time period of just under a year and 11 months, according to the report. Zillow’s equation measures variables including rent prices, home value appreciation and interest rates. Also factored in are investment gains renters can make by avoiding transaction costs and property taxes. For buyers, Zillow assumed a 20 percent downpayment, mortgage payments at recent rates, 3 percent purchase costs, 8 percent selling costs, home appreciation forecasts, federal tax deductions and other factors. The formula reflects a median home value of $645,199 in the L.A./O.C. region in the first quarter of 2018, and a median rent of $2,753, as computed by Zillow. 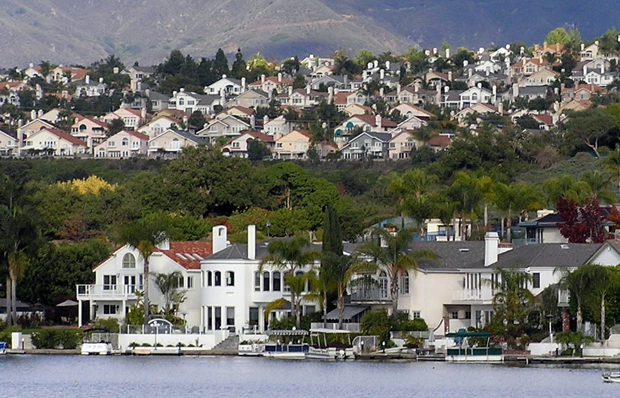 In the Riverside/San Bernardino area, the corresponding amounts are $357,145 and $1,885. Now, could this type of insight (packaged the right way) make some scratch their head and consider testing the waters of the housing market? Maybe, at least it’s worth a shot. – GOOD LUCK! If you develop clients who are looking to get into the housing market, yet they are not financially up to the task, click here, we would be happy to help. This entry was posted in borrow money, General, Lending, Submit Loan and tagged California hard money lender, hard money loans, home loan, mortgage broker, real estate. Bookmark the permalink.